Last week I invited you all to ask myself and the Les Enfants team your party planning questions if you were struggling with something whilst planning your next party. I had planned to answer the questions in todays post but it seems you are all very organised and there are no questions to be answered! So instead for todays post I would like to share with you an invaluable resource in planning a party. Bridgett of Perideau Designs created this great party planning printable when she was planning her daughters party, which I will be featuring on this blog in the next couple of weeks. 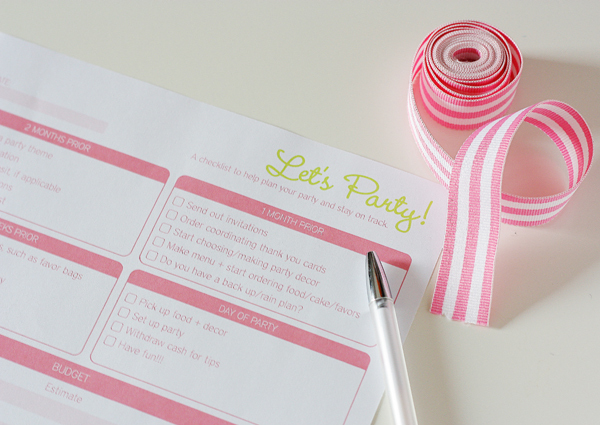 So pop over to Bridgett’s blog and download your own party planning checklist, which I am sure will be invaluable, especially in the run up to Christmas. Whether you are struggling with ideas for games, party food or even a theme why not leave a question in the comments on this post and the Les Enfants team will be happy to help. I hope you all have a fab weekend and stay safe and warm if you are heading off to a fireworks display.